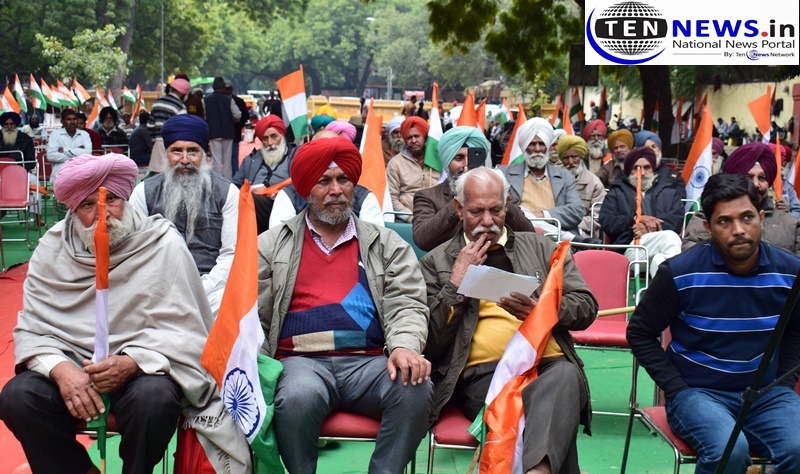 New Delhi (February, 10): Over Hundreds of retired defence personnel from Delhi, Punjab and Haryana staged a protest against the alleged ‘half-baked’ implementation of One Rank One Pension at New Delhi’s Jantar Mantar today. On Sunday, United Front of ESM (UFESM) organised an Ex-servicemen (ESM) Maha Panchayat at Jantar Mantar Road, New Delhi. The objective of the rally was to pressurise government for long pending demands and justice to the ESM community. More than 129 ESM Organizations/Associations joined the protest from various states of India. “One of the important thing we are here for is full family pension for jawan’s up to 67 years of age to live with dignity and also full family pension for widows up to 67 years of age after husbands demise,” added Nain.